Video marketing should be a component of every company’s digital content strategy. If you don’t have a strategy in place yet, you may want to pause for a moment and read Digital Marketing Success in 5 Easy Steps. Present your brand and its products in creative ways that appeal to your ideal audience. Online video accounts for 74% of all web traffic. 65% of viewers watch more than 75% of a video. 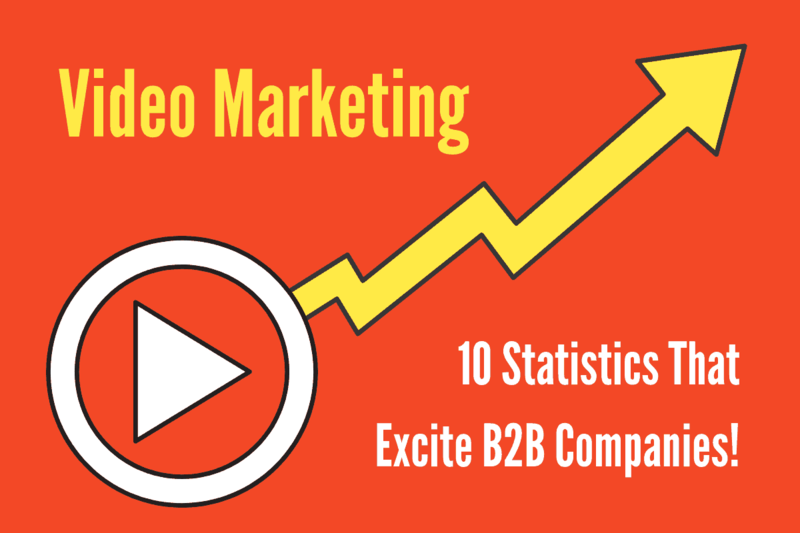 96% of B2B companies plan to use video in their content marketing over the next year. 81% of people feature their video on their brand website. (On average, sites that include video have an extra two-minute dwell time when compared to sites that don’t). 75% of business executives watch work-related videos at least weekly. 59% of executives agree that if a page includes both text and video on the same topic, they prefer to watch the video. 54% of executives share work-related videos with colleagues at least weekly. Using the word “video” in an email subject line boosts open rates by 19% and increases click-through rates by 65%. 93% of marketers use video for online marketing, sales and communication. Video marketing can seem intimidating, especially to smaller companies, but in today’s digital world, it is not that hard to create interesting videos. Sites like Biteable and Animoto make it easy, affordable, and fun, for even the smallest companies to make videos. If you are part of the 59% that enjoy video more than text, check out the video version of this article. I made it in less than half an hour on Biteable. A simple, step-by-step guide to success.